This book contains pictures of over 70 paintings with, in each case, a description of the painting on the opposite page. 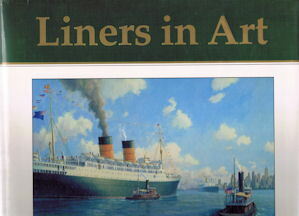 These are followed by brief histories of the liners illustrated and brief biographies of the artists. Please note that owing to the size of this book it is only possible to show part of the cover.